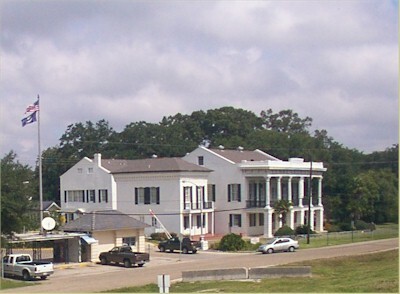 This nice old plantation, now home to the national guard, was an interesting place to visit. It houses, among other things, the National Hansen's Disease Museum amd several residents (formerly inmates) who are afflicted with the disease. With Hurrican Ivan approaching, the state emergency operations center moved from New Orleans to this location, south of the state capitol. Even with all the extra activity, they remained hospitable to our visit.